A curved U.S. coin, the first ever, makes it seem kind of late to innovate in physical currency. The U.S. Is Making Its First Curved Coin. Do We Really Need New Coins? Maybe you could use this coin as a little bowl for something tiny that you don’t want to lose. Photos from the United States Mint. Coin collecting and physical media may be kind of last century, but they’re not dead yet. The U.S. Mint is still innovating, most recently with the curved—that’s right, curved—National Baseball Hall of Fame Commemorative Coins. The design is based on France’s 2009 commemorative International Year of Astronomy Coins and the Southern Cross curved coins from the Royal Australian Mint. Whether you think special-issue coins are exciting or underwhelming, they are serious business. It’s the law. No, really. 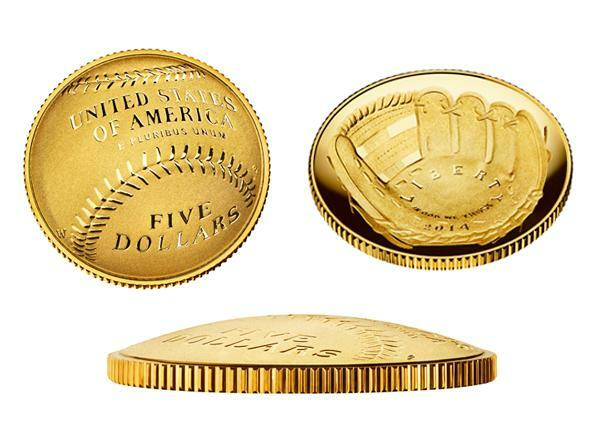 The National Baseball Hall of Fame Commemorative Coin Act, signed in August 2012, stipulates that these coins must be minted. The curve in the coin is intended to evoke a baseball glove on the concave side and a ball on the convex side, in celebration of the Baseball Hall of Fame’s 75th birthday. It’s a smart design, but perhaps it would have been better suited to another decade. Commemorative bitcoins, anyone? *Correction, March 16, 2014: This post originally misstated that the cost of the coins is either $35, $10, or $5 dollars. These figures are actually surcharges added to the price, which will depend on factors like the market rate for the precious metals.